Bittersweet Enchantment: Blog Tour: DEFECTOR by Susanne Winnacker | Author Interview + Giveaway! Blog Tour: DEFECTOR by Susanne Winnacker | Author Interview + Giveaway! Hi everyone! 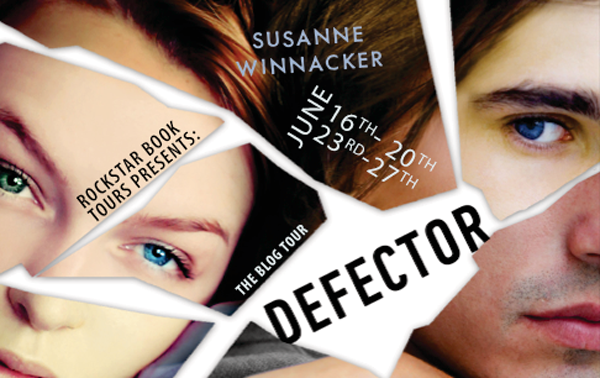 Welcome to the OFFICIAL Book Tour for DEFECTOR by Susanne Winnacker! Today is my stop on the tour and I am so excited to be apart of it! :) I absolutely adore this series, and happy to be able to work with the author to bring you a fabulous interview I did with Suzanne. 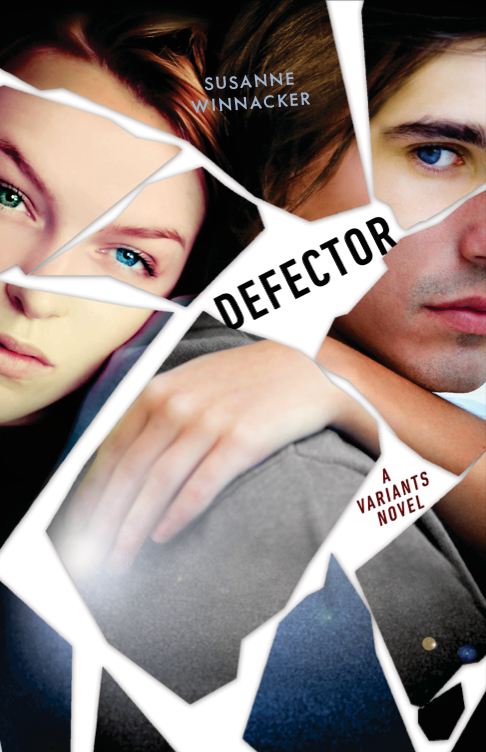 There is also a great giveaway to win copies of Defector and even an audiobook of Impostor. I hope you enjoy this post and thanks for stopping by! 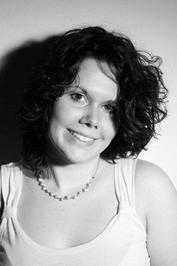 Hi Susanne - Thank you ever so much for stopping by my blog today. :) It's an honor to have you. I HATE riding the bicycle. The last time I had to do it was about 15 years ago and all the scars on my body are from bicycle accidents. My mother is from Bosnia. 3. Do you have a favorite character in either book which you felt was the most fun to write about? I think the most fun to write was Major, because he’s somewhat of a mystery to the reader. But of course I LOVED writing Tessa, or I wouldn’t have chosen her as my main character. 4. Use DEFECTOR in a Acronym using words to describe your book. 5. What has been your biggest challenge in writing your series? Trying not to reveal everything at once. ;) When I plan a series, I usually know how it’ll end and what will happen to get there, and I’m always very impatient to finally reveal everything I’ve planned. 6. Do you plan on writing another book or series? If so, can you give us a hint to what may be coming next? I’d love to write another book in the Variants series. I’m also working on a new YA and a middle grade! 7. If IMPOSTOR and DEFECTOR was made into a movie, who do you see playing Tessa and Alec? That’s a difficult question for me. I don’t have certain actors in mind when I think about Tessa and Alec, but I really hope they’ll choose someone who’s a little edgy for Alec, not just a pretty face. He’s lived through a lot and it should reflect in his looks. As for Tessa, I’d love someone strong for her, but someone who has hints of vulnerability. Someone like Jennifer Lawrence. 8. Final thoughts? Is there anything you'd like to tell your fans here at Bittersweet Enchantment? I’m so excited for YOU to finally read Defector. It’s a book that’s going to shock you and I can’t wait to hear how you feel about it. 2 hardcovers of DEFECTOR and 1 Impostor audiobook. I loooooove the covers for both books. I can't wait to get my hands on Defector - I ate Impostor right up :) Great writing all the way through! Awesome cover and love the acronym! I like the cover it is really cool. I have put Defector on my wishlist. The cover looks so pretty! Can't wait to read Defector! Dangerous, Emotional, Fast-paced, Exciting... wow! HI! The cover looks soft yet dangerous. Love that she has a green eye and a blue eye. Pretty yet bizarre. Thanks for the chance!